Something I want to do for a very long time is my divemaster. I have been lucky to dive in some amazing places in the world, I remember the wrecks of Coron in Philippines, the Raja Ampat manta dives, the Surin & Similan Islands where I saw a whaleshark and many more places in the world that were just spectacular. As I finally have some time to do it – you need at least between 4 to 6 weeks for a serious course – I did quite a lot of research in South East Asia and Americas to find the best combination.Place not too touristy with some excellent diving, but still affordable to live in, with a good vibe… A hard – impossible? – place to find! Definitively wanted to go off the usual divemaster ‘factories’ as they call it. Most of them are in Thailand, mostly in Koh tao. 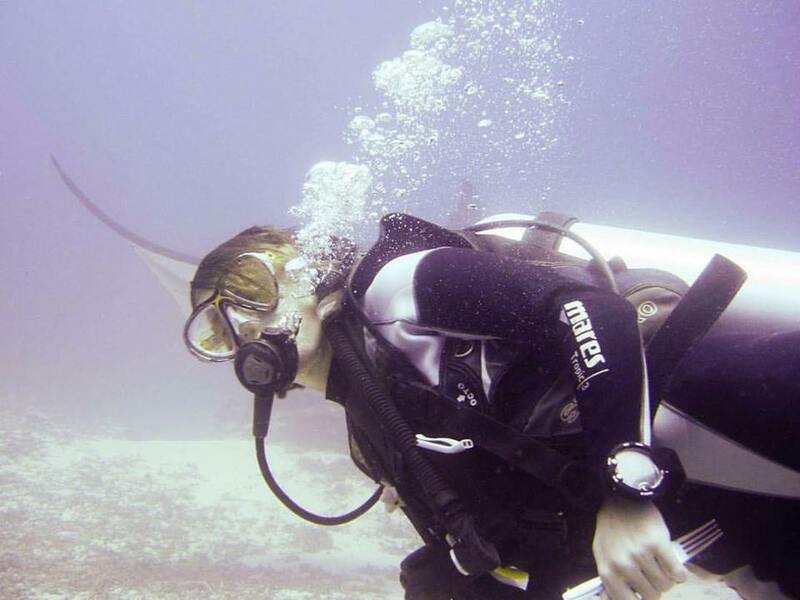 I am really looking for a diveshop in which there will be a few divemaster students, so we can learn from each other, but not too many so that we can actually practice a lot and learn more from experienced instructors. Also a place where you can dive in not so easy conditions, so that you can dive anywhere later on. Also looked for options to do my DM on a liveaboard, which is unfortunately… unexistent! I ended up with a few options in mind, Thailand, Gili islands, Labuan Bajo, Palau and El Nido in Philippines. I finally discarted Thailand, Gili, El Nido mostly of – with no particular order – reef quality/ dive conditions/ season/ attention to students. I know I have high requirements regarding dive sites. Gili Divers though had a nice option where you could go for a week on their Liveaboard from Gili to Komodo at a special price. And a good way to practice too on a liveaboard condition. That was very tempting. My friend, Charlotte, is actually going to do this in July. Follow here at https://charlottestropicalsabbatical.wordpress.com to know more! Palau seems good but with a drought right now and more resort-oriented. The flights are also really expensive. Finally Labuan Bajo (Komodo national park) was my best bet. Had been there last year and there are really good dives, currents so this is good as if you learn to dive in tough conditions you will definitively be a better divemaster and there are really good diveshops too. The local town though is not the most appealing I thought to live in for 6 weeks but I was ready to go there. To live the full-on experience. And just as I was about to get decided, I clicked on Blue Ventures. A marine conservation NGO that I had spotted a while ago, with very good programs in Madagascar and Belize. Not really on my way though so I could not go before unfortunately …but they had just opened an expedition in Timor Leste at my dates! That was too good to be true. So here I am right now, waiting for my flight to Dili, and ready to spend 5 weeks with them. Contributing to the creation of a new program is also really exciting! So, back to my divemaster course. I will finally do it in another location which I know also for quite a while: Utila in Honduras. Really good diveshops too there. I will do it with Utila Dive center, they are among the best worldwide so I am really excited too about this opportunity coming in a few weeks time!